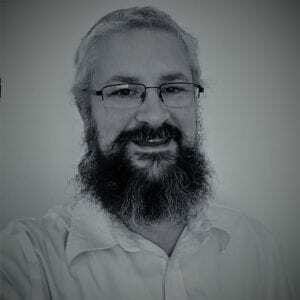 David Soll is the Chief Technology Officer (CTO) and President of Omicron Development, LLC. He is responsible for the overall technical direction and technology solution set provided by Omicron. 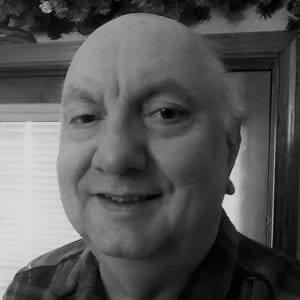 David received a BS in Electrical Engineering from Drexel University and has been working in Information Technology for over 30 years, more than 20 of them with Omicron Consulting. He is the current Chair for the Princeton / Central Jersey section of the IEEE and is a past Chair of the Central New Jersey chapter of the IEEE Computer Society and is a senior member of the IEEE. David is also the past Chair and current board member of the New Jersey chapter of the ACM and a senior member of the ACM. In 2004, David received the prestigious Region 1 award from the IEEE. He also is the founder and current chairman of the TCF Information Technology Professional Conference. David has a long history of innovation working with OSIsoft and Microsoft SharePoint technologies. David began working with OSIsoft’s Plant Information (PI) system in its early days, when PC-networking and graphics were emerging technologies. He has followed the development of PI ever since and has helped many major clients adopt and extend PI’s capabilities using .NET technologies. David maintains a blog about PI benefits, consulting approaches and technical details as part of the PI Square OSIsoft community. Similarly, David began working with SharePoint shortly after its introduction and has helped many companies understand the potential – and manage the complexities – of SharePoint. Since joining Pimsoft in 2014, Bernard has been involved in expanding Pimsoft’s Sigmafine business throughout the world and is currently cumulating this position the responsibility of Managing Director for Omicron, which is part of the Pimsoft Group. Prior to joining Pimsoft, Bernard served in an executive capacity at OSIsoft, a Strategic Alliance of Pimsoft, where he held the positions of General Manager of OSIsoft Canada, Vice-President Worldwide Sales, Executive Vice President and President of OSIsoft LLC from 2001 to 2012. Bernard is a seasoned executive with engineering and technology experience and a proven track record of successful business development, sales and operations management. 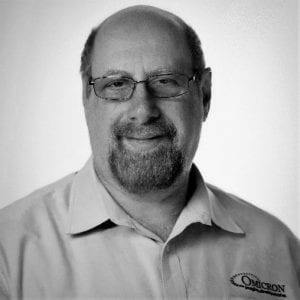 In 1991, he co-founded Cogexel, a software development and integration company which later became the OSIsoft Distributorship in Canada and was acquired by OSIsoft LLC in 2001. 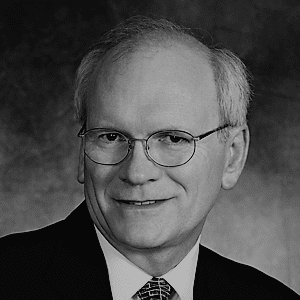 Before this entrepreneurial phase of his career, Bernard occupied diverse technical, management and executive positions in the metallurgical, chemical and oil & gas industries in eastern Canada. Bernard earned his bachelor’s degree in Chemical Engineering from the University of Ottawa in 1978. Gary received his BS in Electrical Engineering from Florida Institute of Technology and MA in Organization Management and Development from Fielding Graduate University. Gary has over 30 years experience in the Information Technology and business consulting fields and is a member of the IEEE. He has been VP of Technology for a business products manufacturer and direct marketer and Director of Consulting and Custom Programming across the Americas for a logistics software company. His experience covers both enterprise systems and real-time data acquisition and storage. Gary finds OSIsoft PI fascinating, as it provides superior operational data to that which he was able to access through enterprise systems. Gary has spent extensive time helping clients access PI data through SharePoint. He currently spends much of his time helping clients develop management reports from PI data, using both OSIsoft tools and MS-SQL. Though far from being an expert, he is beginning to plunge into the visualization worlds made possible through Angular. Even before Microsoft introduced Windows, Gary helped several clients integrate personal computers into mission critical business applications, thus transforming their business operations. He was an early adopter of client-server relational database technology, allowing his corporation to quickly mine mainframe datastores to develop new business intelligence and efficiently store complex graphics. Gary has spent most of his professional career in highly-collaborative large-scale environments, dependent upon the work product of dozens or even hundreds of contracting firms and stakeholders. Mr. Moody is a twenty six year veteran of the Information Technology Industry. Jim has managed his career through the traditional growth path of developer, designer, architect, technical project lead, and development project manager. In recent years, Jim has applied these skills to the consulting environment, capitalizing on an inner commitment to customer focus, process and achieving end-point deliverables. His consulting years have also developed advanced skills in the areas of project management, resource and budget management. 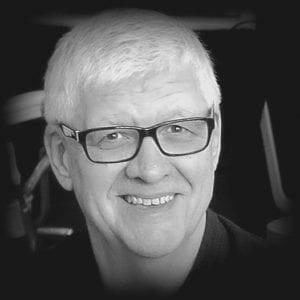 Jim’s area of technical expertise is focused in two specific areas, although he has a broad knowledge of many technologies. Microsoft and OSIsoft technology platforms have embodied most of his technical work. Jim is a “hands-on” leader, able to guide as well as implement any aspect of the major technologies within these two technology areas. Jim’s career has been dominated by two employers – Omicron and OSIsoft. With Omicron, Jim was invited to develop the OSIsoft Application Development and Consulting Group. In that role, Jim led the development and implementation of solutions based on the OSI/PI platform worldwide. Joseph received his undergraduate degree in Electrical Engineering from Drexel University in Philadelphia, Pa. After working in engineering design positions for Siemens, General Instruments, and Singer-Link, he founded Tech Associates, LLC. in February 1981. His expertise encompasses small and mid-size computer systems, software, firmware and hardware design. Past projects include an eclectic mix of disciplines from embedded cpu systems to commercial broadcast television. He has been involved with Omicron as a technical resource for more than 20-years, working on projects ranging from database interface to instrumentation control firmware. Favorite project areas involve the successful interface and interaction between independent systems that are not normally connected as well as firmware design for embedded controllers. Most recently, Joseph completed a custom database project for an Omicron client that included the integration of Microsoft Sharepoint, Visual Studio .NET and webservice components.